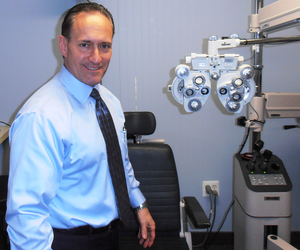 Dr. Christopher Gentile is a founding partner of Sachem Eye Care. He is a graduate of SUNY College of Optometry and is licensed to practice the full scope of Optometry. Along with providing general eye exams for contacts and glasses, he also treats most eye problems like glaucoma, Dry Eye Syndrome, and conjunctivitis.